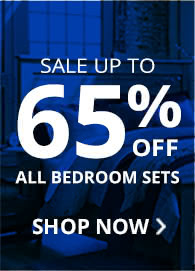 At 1stopbedrooms, we’re proud to offer a wide selection of contemporary, traditional, and modern bedroom sets for less. With exclusive warehouse prices, free shipping on all orders, and superior service with a smile, we’re here to help you save on name brand bedroom sets. You want your bedroom to be perfect. So do we. 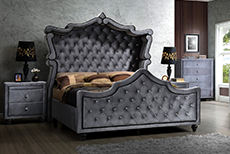 Our furniture specialists are here to guide you through your shopping experience, from finding the perfect bed to having it installed in your home. Complement your bed with a matching dresser, wardrobe, nightstand, mirror, and more. Find complete sets and individual pieces from the best brands, including Ashley, Coaster, Lea, Lexington, Pulaski, Paula Deen, and many, many more. We’ve got it all at prices you won’t find anywhere else. Worried about expensive delivery fees? Relax, we offer free — yes, — Free in home delivery on all orders.